When your definition of high-performance means both massive storage and reliability, this SSD is the answer. Engineered for long-term real-world use, you'll experience speeds up to 550MB/s read and 445MB/s write, up to 100x greater data reliability than a costly Enterprise class HDD, and access times up to 50x faster than a conventional HDD. It's SATA 6G ready, but backward compatible with SATA 3G and 1.5G machines too making this SSD the upgrade solution for everything from a desktop workhorse to the latest ultra-thin laptop. 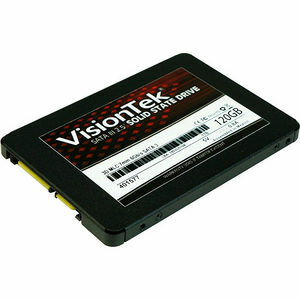 Because it features a Silicon Motion Controller and tier one high-performance NAND flash, the 3D MLC 7mm 2.5" SSDs are designed to deliver top speeds with the files you utilize daily...videos, mp3s, graphics files, and zip files. While these files are compressed, the SSD controller doesn't slow down while processing them like other controllers do. Whether you have a rugged full-sized laptop or travel light with an Ultrabook, the SSD will fit your 2.5" compatible machine. It's 2.5" 7mm low profile form factor is ideal for modern computer designs, while the included adapter makes it fit perfectly in machines that require a 9.5mm height drive. Of course, with an aftermarket 2.5" to 3.5" adapter, this SSD can also be used in a desktop computer.